A slightly smaller knife than the MFK-2, the MFK-1 W still has a sharpening angle of 22 degrees and is perfect for everyday use. You can conveniently carry the knife on your pocket with the attached pocket clip. The blade is made from 420 stainless steel with a mirror finish and offers ambidextrous thumb studs for easy opening. The bolster and liners are also a 420 stainless. 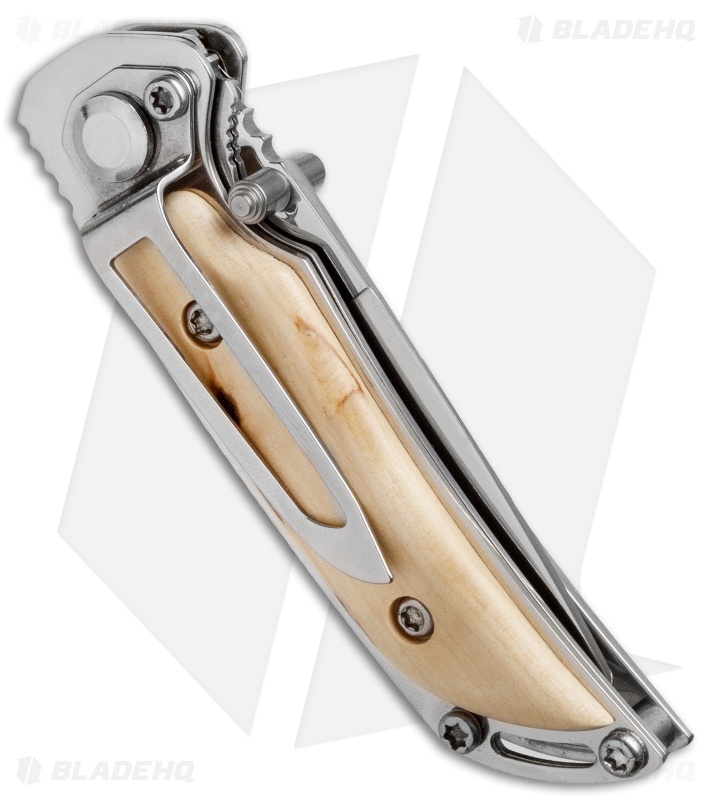 The handle scales are made from curly birch for excellent comfort and grip, and include a lanyard hole. 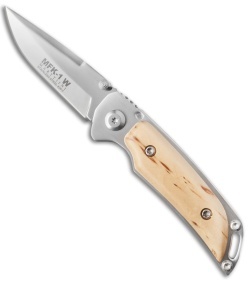 MFK folding knives are delivered in a metal gift box so they're perfect for the camper, hunter, or outdoorsman in your life. 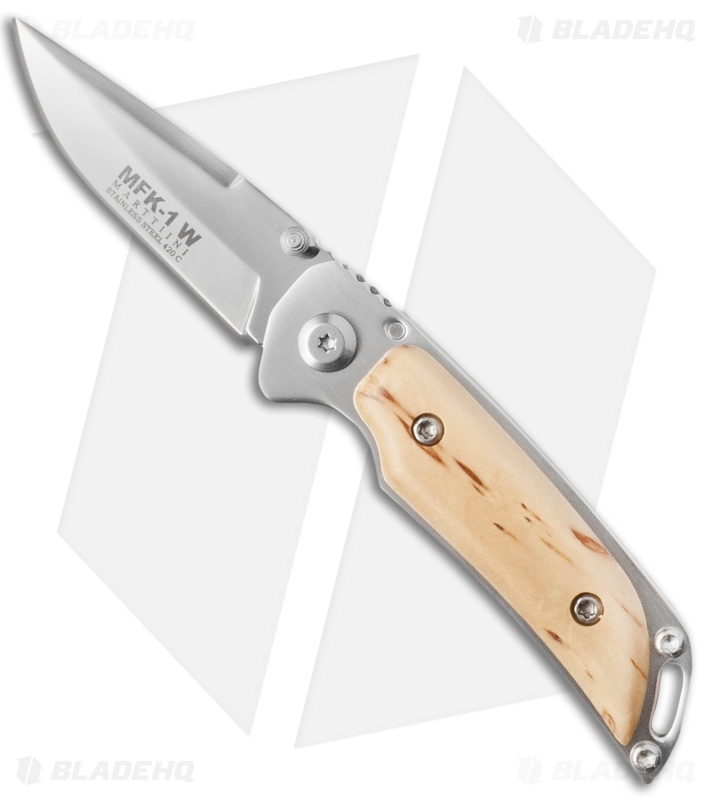 This is one truly beautiful knife -- very sharp right from the box, bright stainless steel, lovely wood overlay on the handle, and obviously built with solid craftsmanship. However, the design is such that the end of the handle was uncomfortable -- it is a rather pointy downward edge that digs into my palm. Why did they make it like that, and not round off the grip's bottom edge?? But i have small hands, so may be that's why it bothered me. Sadly, I have to return it.